Today has been SO warm! I've been dashing around for meetings and press days and Im so flustered! The tube was even more hellish in rush hour than it normally is. I had to wait for three tubes just to get on! I've just got home to finish this post and then heading back out to go over to Zoe's for a night of blogging and general lols. Looking forward to it. 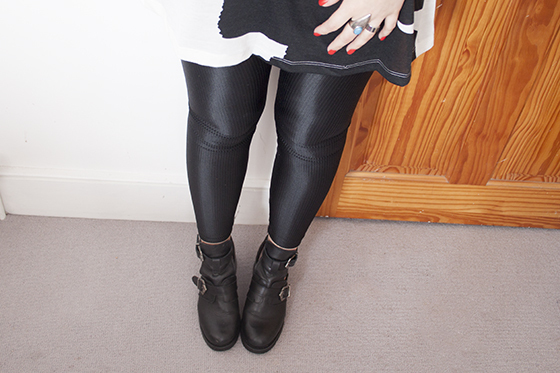 These American Apparel leggings are probably my favourites of the two pairs I have. I always get compliments on them whenever I wear them because they look really expensive and the rib pattern really adds to the look. 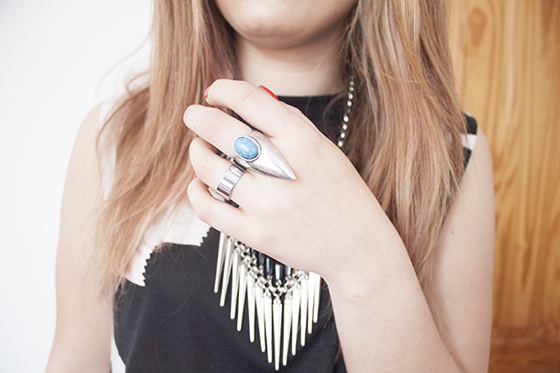 I'm also in love with my new River Island claw ring with a turquoise stone. It's absolutely beautiful. Looks so much more expensive than it is too, which is always a cheeky bonus. I'm on a bit of a new jewellery kick at the moment as I threw away all my tarnished and old jewellery as it was just looking super scruffy and rubbish. I must remember to coat all my new stuff in clear polish to stop it from tarnishing so quickly! Also, a big shout out to my nails which I got done at my local nail salon in the Monsooner or later by OPI. It's a juicy red which is perfect for summer. I think I might have to buy it I like it that much! amazing style! 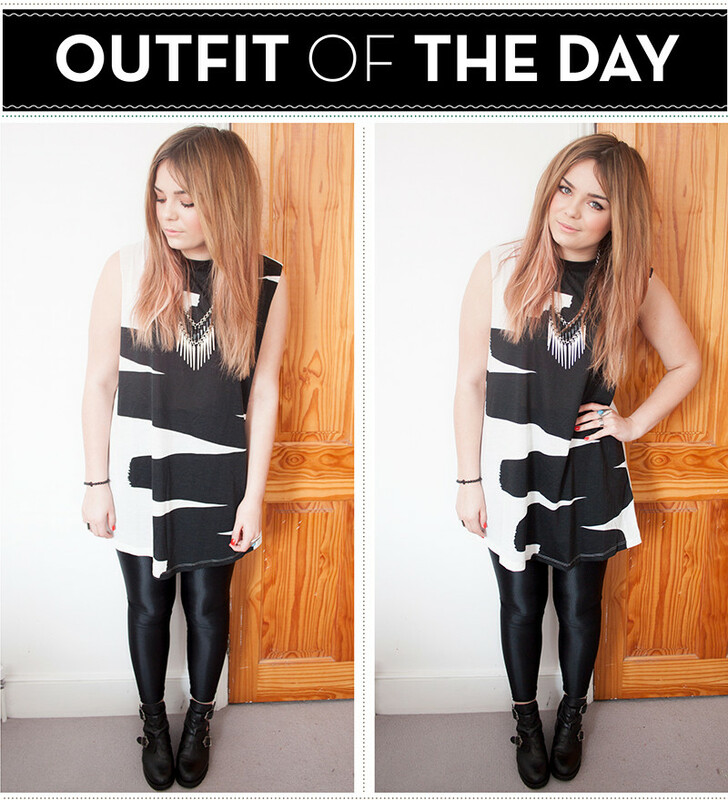 love the monochrome look! Not seen anything like those leggings before, love them! Love this outfit, the top is lush. I love these boots so much. 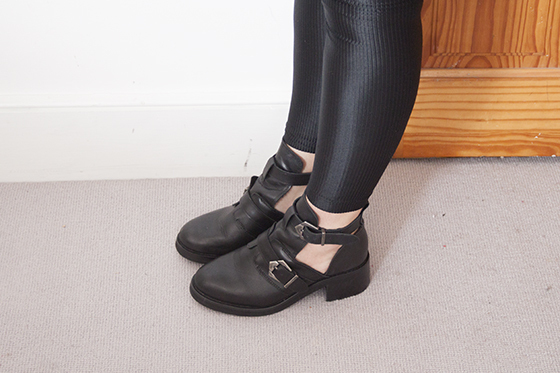 I wnat to get a pair but I'm not sure how much I'd get to wear them in the Summer - do you think you'll still be wearing these when its 'sandal weather' or are they quite heavy? I really want them! I'm really into to big chunky necklaces at the minute. & You pull them off so well! this top is to DIE for! love this! I definitely would not be able to pull it of but you do soo well! Loving the AA leggings too. Their leggings are always great quality. It's freezing in South Wales today! 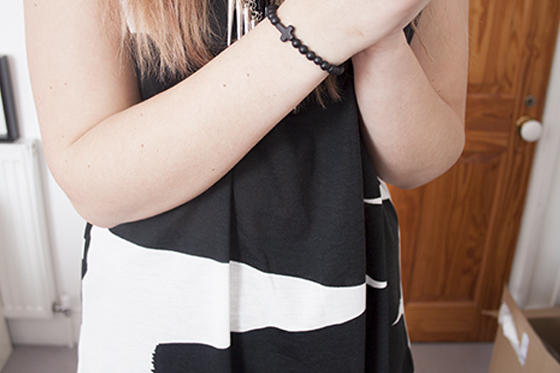 I love the necklace and asos top! I don't think you can ever beat a red nail! The dress is gorgeous and I like it paired with that leggings, they really deserve those compliments. I really love how you stick to a neutral colour scheme, but experiment with textures. It's a really unique style. 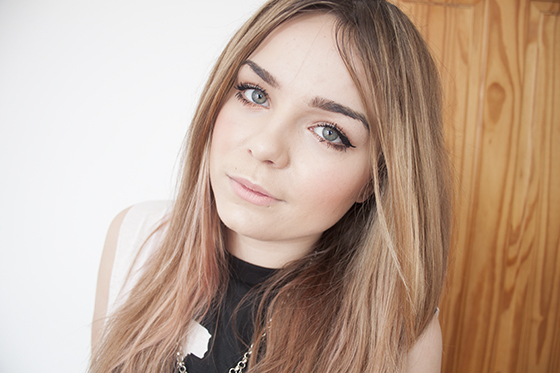 I'm a new follower of your blog, I originally stumbled upon your YouTube channel, which I fell in love with! I particularly enjoyed your recent School/Uni video, because I am also a Hereford Graphic student! Sometimes I feel a bit worried for my career because of studying in such a small area, but your success has really inspired me, so thank you! Oh wow I am crazy about this vest!! I hope it stays on Asos for a while so I can grab one when I have some money. Gorgeous! 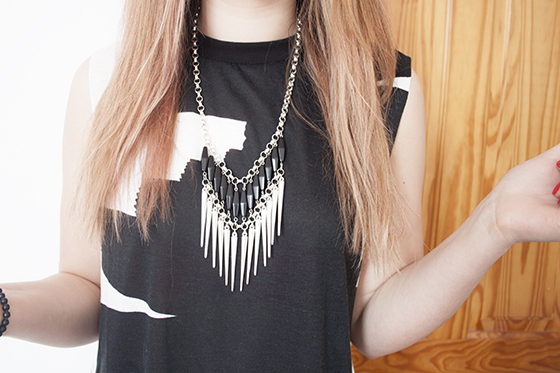 Your top with that necklace looks amazing! I just look at the boots and I'm like "ahh, it's love" can't wait for my choies dupes! love the vest in combination with the necklace!